Greetings, Star Tigers! 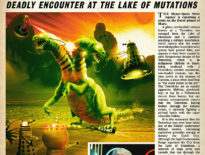 With the new series of Doctor Who a matter of weeks away and the fact that we’re opening with a Dalek story AND the additional fact that we are celebrating comics week here on The Doctor Who Companion, why don’t we take a look at the legendary Dalek Killer himself, Abslom Daak? This article is presented as a brief intro to Abslom Daak, so please don’t expect chapter and verse and lists of dates and novels, comics, audios, etc. There are other sources for encyclopedic knowledge such as this. It certainly ain’t me. I’m just a fan of the psychotic rogue with a chainsword! So, come with me as I tiptoe through twisted shards of Dalekanium on the trail of Abslom Daak. 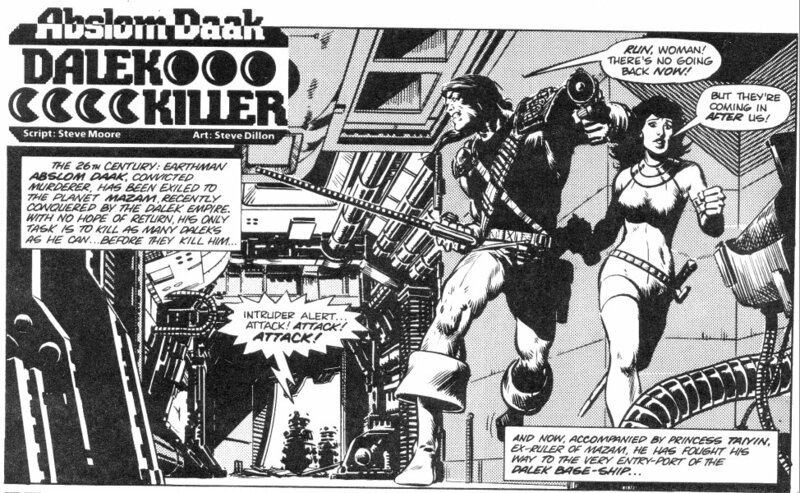 Daak first appeared in the world of Doctor Who back in issues 17-20 of the Doctor Who Weekly comic in February 1980, in a comic strip named, Abslom Daak, Dalek Killer. The thuggish human criminal was given the choice of going on a suicide mission to kill Daleks or face vaporisation. On this mission, where he pretty much single-handedly wipes out a Dalek occupation force, he meets and falls in love with Princess Taiyin who is killed by a surviving Dalek at the end of the story. 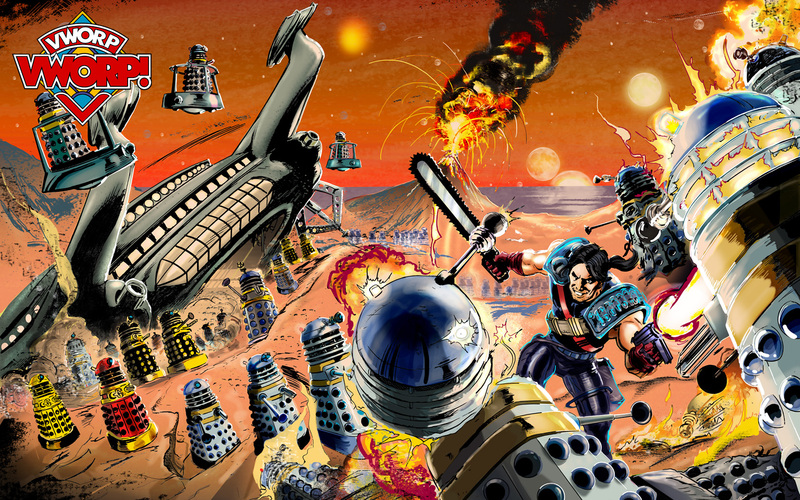 She dies in his arms and he vows revenge on “every damned stinking Dalek in the galaxy!” – and the rest is history! Armed only with an energy pistol and his trusty chainsword, he proceeded through the following years to team up with an Ice Warrior named Harma, a human named Vol Mercurius and a Draconian named Prince Salander. All aboard the Kill-Wagon, they were the Star Tigers and they killed Daleks for a living! Daak’s path crossed the Doctor’s and/or his companions a number of times. I read with great gusto and huge enjoyment, the Virgin New Adventures novel, Deceit, back in 1993 when Ace, Bernice Summerfield and the Doctor met a clone of Abslom Daak. 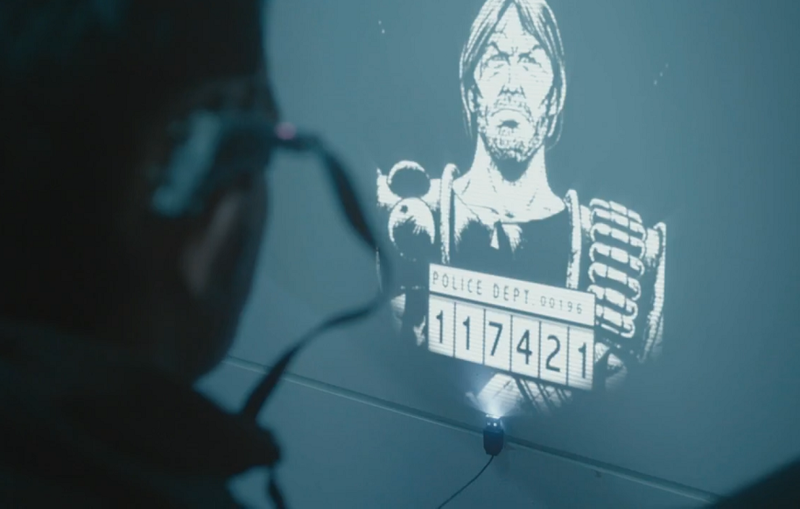 Daak has met the 4th, 7th and 11th Doctors in novel form and even had a cameo in the TV show in the episode Time Heist, where an artist’s rendition appeared on screen in a list of the worst criminals in history. I think I may have “squeed” when that happened! What next for the anti-hero with only two emotions – rage and insane rage? 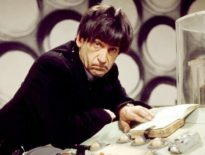 He’s such an iconic part of Who history, albeit with the one very brief screen cameo, but a large part of fan consciousness in his printed form, the character DESERVES some proper screen time – either in a Doctor Who episode or even his own spin-off. Can you imagine a gritty, hard sci-fi series following the adventures of a band of mercenaries looking for their next job, all the while dodging the authorities while a covert government department sends them on missions to thwart Dalek plans??? I can! And would watch the heck out of it!